Your latest track “Some help” is a fusion of Hip-hop & Soul/R&B and we think it’s your best track to date! Care to share more about the story behind this track? Some Help was a song that I actually wrote without any beat in mind. Usually, when I am planning to release a new song, I am inspired by a beat and use that to come up with a theme or song title and craft lyrics around it. With “Some Help”, it came at a time when I was feeling mentally down about where I was in life professionally and personally. I tried to write something that captured everything I was feeling and emphasize that with some help from the right person or people I could move forward and feel good again. I wrote the first verse and chorus / hook with just a melody in my head and then found an awesome beat that helped me develop the rest of the song. Once I heard the beat for it I knew I wanted to record and release it as a single. All of your tracks sound very professional and put together, how did you manage to achieve such a professional sound in such a short time? I was fortunate to get advice and help from some more experienced players in the music industry. Early on when I decided to release my own music, I met a producer and sound engineer named Ivan Reyes of Templo Records in the Bay Area. He served as a great mentor and sounding board for how my music and sound should be. Later, when I was writing songs for my first E.P. “Keep it Simple”, I met two Bay Area artists that go by the name of THEMXXNLIGHT who really helped me understand what I needed to do in terms of crafting my sound. They are actually blowing up in the R&B scene after appearing as features on Wiz Khalifa’s latest album Rolling Papers 2. I also was fortunate enough to meet a producer named Haji Springer who is huge in the South Asian music scene globally and he gave me good advice on my sound and lyrics. This year I have been working a lot with professional recording studios in Oakland and Emeryville and have started to go regularly to The Grill to get my songs recorded. The sound engineers there are excellent and have helped me to achieve that professional, radio quality sound. I still have a long way to go but I’m happy that my fans have enjoyed the quality of my music so far. Going over your Soundcloud profile we can tell you are a well versed musician, Could you tell us more about your musical background and some of your favorite plugins/Synths? When I was young I actually started singing Indian classical music. I did that for over 10 years and in college joined a South Asian A cappella group called Dil Se. There was when I truly discovered my passion for music and the initial thoughts of a music career began to form. After graduating college I tested out releasing some cover songs of Bollywood, American, and even Latin tracks. It was then that I realized how much I enjoyed recording and releasing music and decided to try out originals. As far as plugins / synths I am not entirely sure to be honest since I work more with producers and sound engineers who help me with that stuff. As we have mentioned before all of your tracks are produced to perfection! Do you produce your own beats? Thank you! I do not, I mainly find beats online and lease or purchase them outright and then have songs recorded in a recording studio. I am always looking for new producers to work with and got lucky finding an awesome producer named JayPaulBeats through Instagram. Listening to the pitch of your voice we can tell you are very well trained. Could you tell us more about what it took to develop your voice to where it is now? I would attribute that to my early vocal training growing up, as well as listening to a lot of different artists such as John Legend, Zayn, Bryson Tiller, August Alsina, Mario and many others to figure out the right R&B style that suits my voice but also for the right type of sound for this generations listeners. I like to think I have two vocal styles in my music: one that is slower, soulful and more traditional R&B and another that is more edgy and up-tempo, fitting with the new age Trapsoul / urban R&B sound of the current generation. The thing I am most excited about is the upcoming single I’m planning to release called “Bottles in my City” featuring my good friend and Bay Area rapper A-Bad. It is a pretty different vibe from some of my existing tracks as it is really up-tempo and something I envision and hope is a clubby song. With the release of the single I am also planning my first music video to go along with the track. Visuals are everything these days and I do believe this is my best track so far and want to have a strong music video to go with it. The other things I’m planning for the new year is the release of my second E.P. – I haven’t finalized a name but am hoping to release the music video and the 4 track E.P. sometime late January or early February. Otherwise, I would say my biggest goal for the new year is to engage with my fans more and try and connect with more individuals as opposed to shooting for large numbers of listens / views/ followers etc. One of the biggest lessons I learned in 2018 was at the end of the day, marketing, ads, press, and PR are all helpful but the only thing that matters is the music. 2019 will be about focusing on the music as that is the most fun part for me anyway and with consistent, strong production and vocals + lyrics I won’t have to worry about achieving some goal of fans / followers. 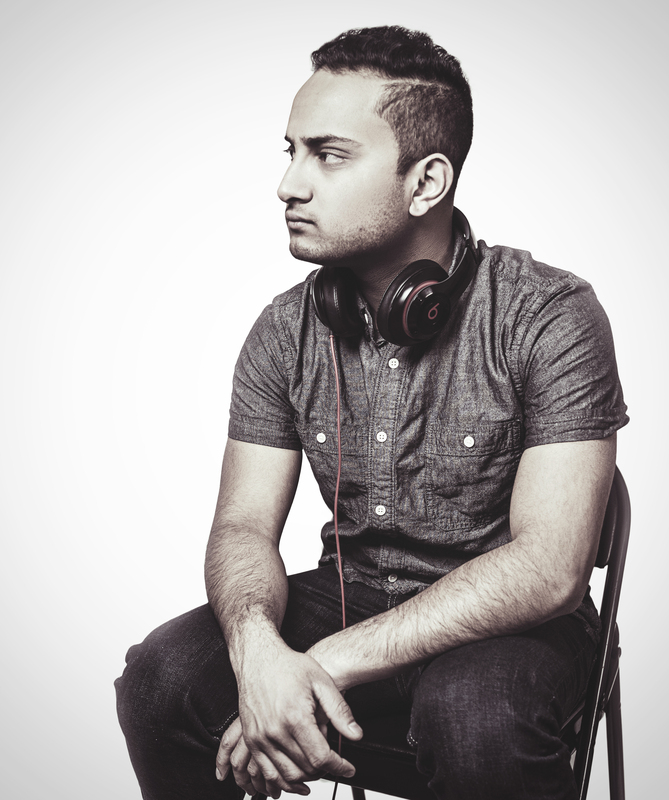 Stay tuned on my Instagram and Soundcloud (@anandlmusic) for updates!